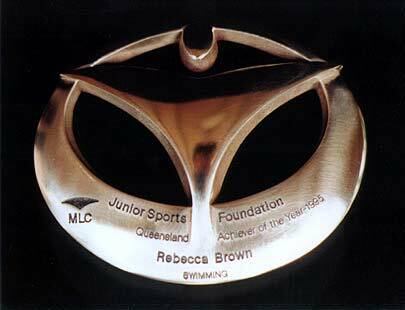 An award for young athletes, I designed this piece to express youthful vigour and enthusiasm. Typically these athletes have accumulated many awards from many sporting bodies, so this award needed to stand out when set on a trophy wall. Rather than weakening the visual impact, the Award becomes stronger as the athletes receive more awards. The design also portrays this client's corporate 'Canopy' logo and the 'nest egg' logo of their sponsoring division. 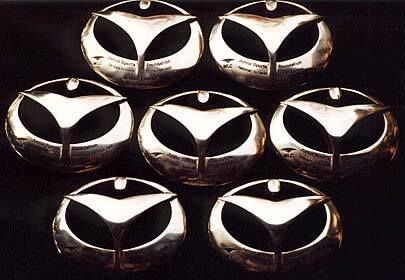 The award can be presented as either a trophy or ribboned as a medallion.